He's basically a dog whisperer. A couple of dogs chasing people through an intersection in El Reno, Oklahoma, ran into just the right police officer last week. Storm Barrett, a deputy with the Canadian County Sheriff's Department, had spent four years as a dog handler. But these dogs, running wild and unneutered, seemed a particular challenge. "It was pretty intense," Barrett told The Dodo. 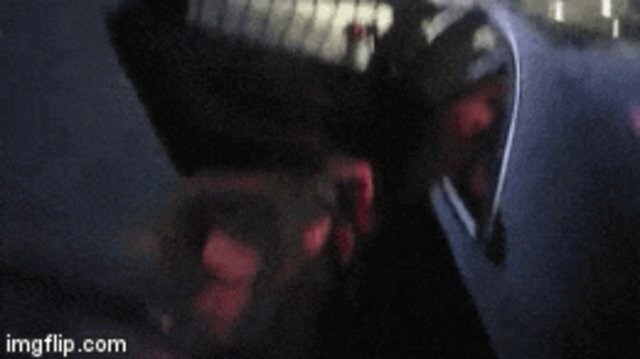 Some officers might have reached for a gun, a move we've seen too often in the past. But Barrett helped a bystander onto the hood of his police cruiser - and reached for his baton. "It was a distraction," he explained. "We were right by a high school." While it's hardly certain these dogs would have attacked anyone, Barrett didn't want to take any chances with kids getting out of school at around that time. While wielding his baton, Barrett radioed for animal control officers. They arrived in about 10 minutes and took custody of the dogs. Both dogs, healthy and unharmed, were returned to their owner, who was given a citation for letting the dogs run at large. Meanwhile Barrett is earning praise for defusing a situation that could have easily ended in humans and dogs getting hurt. "I was very happy to see the officer's creative thinking in using the least force necessary in this situation and waiting for animal control," Edith Williams, of the advocacy group Idaho for Non Lethal Canine Encounter Training, told The Dodo. The encounter reminded Williams of another encounter between a police officer and a couple of angry dogs. 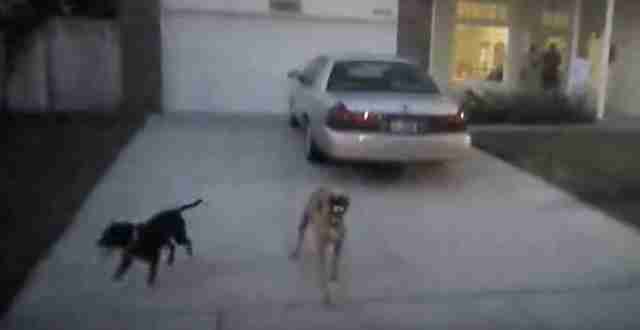 Last year, officer David Gomez also used his baton to distract dogs running loose in a residential Idaho neighborhood. 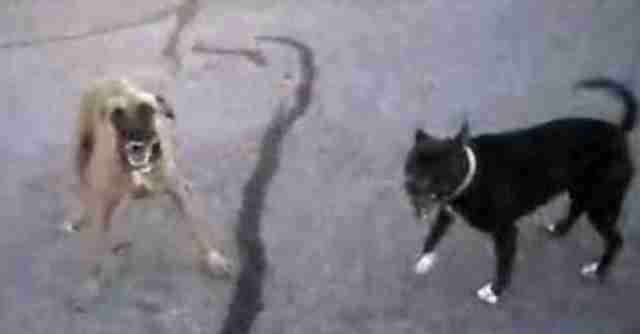 The dogs can clearly be seen in a YouTube video growling and snapping at Gomez's baton. But the officer calmly instructs residents to stay inside while he talks down the animals. In the end, Gomez managed to get the dogs in the back of his cruiser with every dog owner's classic line: "Want to go for ride? Come on, let's go for a ride!" Later Gomez would tell The Dodo, "I don't think I was anywhere close to drawing my weapon." You can watch a video of the incredible encounter below.